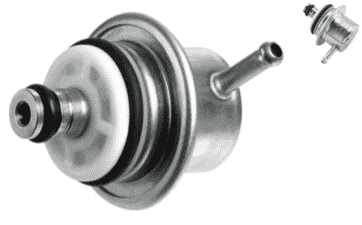 A faulty fuel pressure regulator is a ubiquitous part to cause a lot of engine problems. But luckily, it’s not an advanced part to replace, and you can often do it yourself, and it’s usually pretty cheap. In this article, you will learn the most common symptoms of a bad fuel pressure regulator and the cost of a fuel pressure regulator replacement. A bad or a faulty Fuel Pressure Regulator means that the internal combustion process would be disturbed and the engine will not generate enough power. There would be some noticeable symptoms that would arise which can help you conclude that the problem is occurring due to a bad Fuel Pressure Regulator. One of the first symptoms you’ll notice is that the engine will start misfiring and the acceleration will drop. When driving at a constant speed, your car will stumble or slow down, then will accelerate normally and repeat the process. This indicates that there might be a problem with the Fuel Pressure Regulator. Another common symptom is fuel leakage which not only causes performance issues but results in a bad odor. Fuel leakage happens if the Fuel Pressure Regulator’s diaphragm or seal damages and fails. Fuel leakage is also hazardous and should be taken care of right away. Although a black smoke coming out of the car’s exhaust pipe can be due to several other reasons, but if you see a black or grey colored smoke and notice any other symptoms mentioned in this article as well, then most likely the problem is with the Fuel Pressure Regulator. Soot forms due to the burning of oil in the engine’s head. Check the end of your spark plug to see if there is any black soot deposit. If so, then your Fuel Pressure Regulator is most likely damaged, and you would have to change both the Fuel Pressure Regulator as well as the spark plug. A bad Fuel Pressure Regulator causes excess gasoline to pass through the lines and overfill the exhaust system. As a result, the gas starts dripping from the tailpipe. A faulty Fuel Pressure Regulator causes the vacuum hose to be filled with gasoline. To check this, remove the vacuum hose connection to the Fuel Pressure Regulator and check if there is any gasoline in the pipe. If so, then you have a bad Fuel Pressure Regulator. Leakage due to a bad Fuel Pressure Regulator can result in the oil reservoir to be filled with gasoline. If you can smell gasoline on the oil dipstick that means your Fuel Pressure Regulator has a problem. Due to a bad Fuel Pressure Regulator, your car’s engine may require more gasoline. As a result, you will notice a drop in the mileage indicating that the Fuel Pressure Regulator is damaged. Almost all modern cars use a full-time monitoring system to always monitoring the car sensors in the car engine. If any of these sensors do fail, there will be a trouble code stored in the trouble code memory and if this happens repetitively, the check engine light will show up on your dashboard. A Fuel Pressure Regulator is a part of your fuel system. It is most often fitted on the fuel rail, but can also be fitted on the fuel return hose. The fuel pressure regulator is controlled by a small vacuum hose that goes to the intake. When there is a vacuum in the intake at idle, it will lower the fuel pressure. If you have a turbo or supercharger fitted to your car, it will also boost the fuel pressure with the boost from the intake. There are two different kinds of fuel pressure regulators. One of them is the linear, and that means, for 1 bar of boost pressure it will give 1 bar higher fuel pressure. You can also have a progressive fuel pressure regulator in different forms, for example, 1:1.5 regulator. 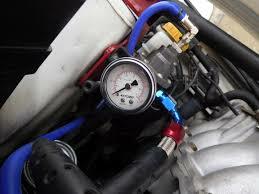 That means, for every 1 bar of boost, the regulator will make 1.5 bar higher fuel pressure. Since the Fuel Pressure Regulator is directly responsible for the distribution of fuel to the engine, it’s proper maintenance is essential. Most Fuel Pressure Regulators make use of mechanical diaphragms operated through vacuum and these diaphragms help to change the fuel pressure. However, modern vehicles are equipped with an electronic fuel pressure regulator which work differently. Any issue with the Fuel Pressure Regulator will directly affect your engine’s performance. Therefore, it is essential to ensure its maintenance. There are two basic types of fuel systems found in the cars: Continuous return fuel system and Return-less fuel system. The Continuous return fuel system is mostly found in old vehicles. It makes use of a fuel pump through which the fuel is delivered from the tank to the fuel rail. The fuel pump provides excess fuel which is why a regulator is installed to maintain proper pressure and produce the extra fuel back to the tank. The fuel pressure regulator is controlled by engine vacuum and can be found mounted on the fuel rail. The Return-less fuel system is found in modern cars, and it does not have any return passage to the fuel tank or an externally mounted fuel pressure regulator. In this system, the fuel pressure regulator is built into the fuel pump which is controlled through the powertrain control module (PCM). The best way to check the Fuel Pressure Regulator for leaks is with a Fuel Pressure Gauge. This test checks if the Fuel Pressure Regulator is appropriately regulating the line pressure according to the changes in engine vacuum. Keep the engine running and disconnect the vacuum hose from the regulator. With the line disconnected, the fuel system pressure will increase by 8 to 10 psi. If there isn’t any change, that means the pressure regulator is faulty and needs to be replaced. The replacement cost of the Fuel Pressure Regulator depends on the make and car model. An average job requires between $260 to $320 for diagnosis and replacement. The actual component costs somewhere between $65 to $75, however, the labor cost is high since the mechanic needs more time for the job. For modern cars, the fuel pressure regulator is checked electronically via the engine control unit and can be fixed conveniently as well. Remember to take your car for a checkup as soon as you notice any of these symptoms as they can be hazardous too. The fuel pressure regulator is regulating the fuel pressure with vacuum and boost. A linear fuel pressure regulator will boost the fuel pressure by 1 bar per 1 bar boost in the intake. It is quite simple to test your fuel pressure regulator at home, but you need a fuel pressure tester. The replacement cost is often not very high for either the part or the replacement cost. If you have any other questions about fuel pressure regulators, comment down below. If you have other car questions, you can ask us at our homepage. Will My Check Engine Light Reset itself after the problem is repaired?